What Are Interesting Facts About Clownfish? 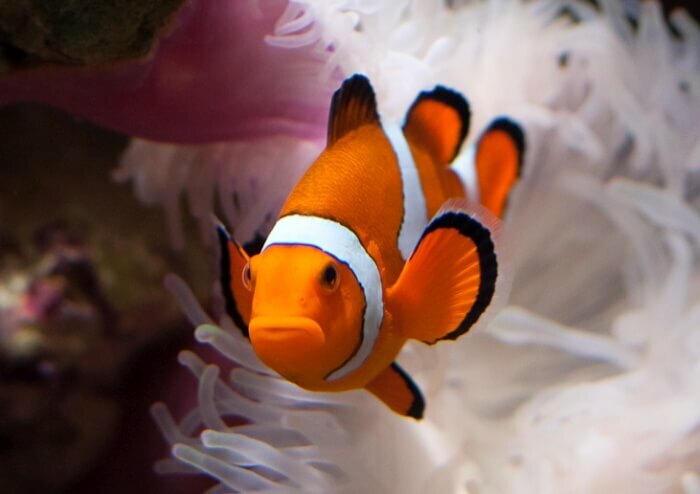 The clownfish observes an omnivorous diet, eating algae, molluscs and plankton. It is preyed upon by sharks, eels and other fish. A clutch of clownfish generally numbers 2,000 fish, each of them known by their characteristic bright markings. Notably, the clownfish is immune to the stings from the sea anemone, and one female clownfish may lay thousands of eggs at once.